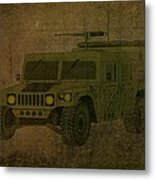 Drawing Textured Art of a Humvee Military vehicle in a nighttime desert. 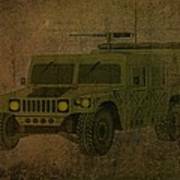 The High Mobility Multipurpose Wheeled Vehicle (HMMWV), commonly known as the Humvee, is a four-wheel drive military automobile produced by AM General It has largely supplanted the roles formerly served by smaller jeeps such as the M151 1⁄4-short-ton (230 kg) MUTT, the M561 "Gama Goat", their M718A1 and M792 ambulance versions, the CUCV, and other light trucks. 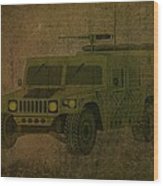 Primarily used by the United States military, it is also used by numerous other countries and organizations and even in civilian adaptations. 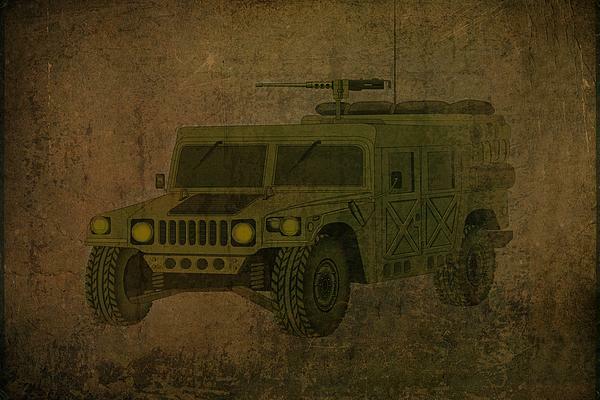 The Humvee's widespread use in the Persian Gulf War helped inspire the civilian Hummer.